My name is Rose and I am a Canadian freelance writer with a healthcare background in nursing, orthotics/prosthetics, and ophthalmology. I was briefly redeployed during the 2003 SARS outbreak as a frontline worker. Since May 2016, I have been researching the Zika virus and have compiled unpublicized facts on my blog post: Why We Must Demand the CDC and Health Canada Enact Level 3 (Avoid Nonessential Travel). To help raise money for Zika research, I also designed over 25 educational or humorous items on Zazzle for my Zika: Let's Stop a Global Pandemic Collection. Credit: World Map by Christopher Schnese on flickr (CC-by-2.0); Bulbul by myjkccd (Own work) [Public domain] - image flipped for native regions. Concept, text, colors, Culex mosquitoes by RoseWrites. Investigative Journalists: How About Asking the Experts? Bill Gates is being asked about the next pandemic (even though he doesn't even have a degree in biology). And it seems the CBC is entirely avoiding the Zika topic. The press should be all over Drs. Constância F. J. Ayres, Walter S. Leal, Fiona Hunter, Michael Diamond, Amir Attaran, Peter Hotez, and the Cornell Lab of Ornithology (to name just a few). The latest unpublicized study (hidden behind paywalls): Infection: A new threat on the horizon — Zika virus and male fertility by Andreas Meinhardt. When I conducted a PubMed search of it, the abstract was blank. The same thing happened when I looked up the Arbovirus Survey in Wild Birds in Uganda by Okia, N.O. et al. The abstract has been entirely removed from the PubMed listing. Numerous government health departments are also posting false information. As mentioned in my article Birds as Reservoir Hosts of Zika: What You Are Not Being Told, below are just two screenshot examples (if you look, you will find more). -An MSc in botany where she worked on black fly cytotaxonomy and systematics under the late Dr. Klaus Rothfels. -Training at the Tropical Medicine Institute at the University of Tübingen in Germany where she studied parasitology and studied the role of black flies in the transmission of onchocerciasis (aka river blindness). -A PhD in biology at Queen’s University under the co-supervision of Dr. Jim Sutcliffe, a black fly physiologist, and the late Dr. A. E. R. Downe, a mosquito physiologist. Clearly, Dr. Fiona Hunter would understand the role that Wolbachia plays in disease transmission. In fact, Wolbachia is responsible for the most widespread pandemics in the animal kingdom (LePage and Bordenstein, 2013). I was amazed. On January 23rd, 2017, I received the following email from Dr. Fiona Hunter, medical and veterinary entomologist at Brock University. As I researched this further, I became even more incensed by what our public health authorities (even the CDC) have been informing the public. I wrote back to Dr. Hunter and the following scientists at the Cornell Lab of Ornithology: Christopher Clark, senior scientist; André Dhondt, Director, Bird Population Studies; Daniel Fink, Sr Research Associate, Avian Knowledge Network; Aaron Rice, Science Director; Viviana Ruiz-Gutierrez, Quantitative Ecologist, and Daniel Salisbury, Research Analyst. Wow, thank you. I really appreciate you sending me this. I am going to send it along to the Cornell Lab scientists as well. On that front, Charles Feeney recently made a $7 million grant to Cornell University. I am hoping part of that helps fund whatever they might need to investigate ZIKV in birds. I have not heard anything new from Cornell scientists, but a few experts in the birding community felt "it is possible" that Zika is causing problems in birds. I will let you know when I hear anything back. "A good number of these sera were weakly positive and thus were not included in our study." "Experimental infection of birds has revealed birds to be poor neutralizing antibody producers." Ergo, it is possible to miss many positive sera with a titre lower than 1/10. "The incidence of WN antibodies should be highest among dark-capped bulbuls. These birds occur near households and in all vegetation types, except inside thick forests." Credit: RoseWrites on InfoBarrelAnd even though the CDC and WHO like to lump Zika in with dengue and yellow fever, clearly, Zika is more related to West Nile virus. With Zika, the CDC does not even mention birds. 1) Animals do not appear to be involved in the spread of Zika virus. 2) There have not been any reports of pets or other types of animals becoming sick with Zika virus. Other studies and the WHO made brief mention of Zika being found in "forest-dwelling" birds. Most readers would interpret that to mean birds that are far away from humans. "An outbreak of Zika virus occurred among forest-dwelling vertebrates. In 1969, many Zika positive sera were obtained from monkeys in Bwamba forest." Oddly, the CDC feels animals "do not appear to be involved". It is surprising Zika postive sera "was low" where the epidemic occurred. Credit: Ettore Balocchi on flickr (CC-by-2.0)Highest numbers of Zika antibodies were found in the little greenbul (Eurillas virens), shown at right. This is a songbird in the family Pycnonotidae, a passerine songbird. And "passerine" and "Passeriformes" are derived from Passer domesticus, the scientific name of the eponymous species (the house sparrow). I highlight this fact since it's another indication that a forest bird (far away from humans) is not accurate. The little greenbul Eurillas virens is a small bird. Here is its African distribution (shown below, at right). Credit: Haller1962 (Own work) [CC BY-SA 4.0 (http://creativecommons.org/licenses/by-sa/4.0)], via Wikimedia CommonsNote: They are only prevalent in Western Uganda and a stretch in the south of Uganda near Lake Victoria. Little greenbul habitat is listed as: coast, forest, savanna, subtropical, terrestrial biome, terrestrial habitat, and tropical. Habitat includes: mangroves (a tree or shrub that grows in chiefly tropical coastal swamps that are flooded at high tide), Montane Grasslands and Shrublands, Tropical and subtropical grasslands, savannas, and shrublands, Tropical and Subtropical Moist Broadleaf Forests. Red-Whiskered Bulbuls tame easily and are a popular pet. Yet CDC doesn't feel pets can "become sick with Zika" (but pets certainly COULD be reservoir hosts, I'm thinking). In 1960, these Red-Whiskered Bulbuls established themselves in the Miami area (after escaping a Dade County Florida bird farm). Florida's Red-Whiskered Bulbuls love figs and the fruit of the Brazilian pepper tree. The Everything Bird Book by Tershia d'Elgin is available for purchase at the end of my article. And about the Brazilian pepper tree . .
"The Brazilian pepper tree is an ornamental shrub or tree native to Brazil, Argentina and Paraguay that was introduced into Florida in the mid-1800s." "Its seeds are easily spread through birds and other animals that ingest the berries. Controlling invasive plants like Brazilian peppers can cost billions of dollars and are difficult to completely eradicate." I hope you don't mind me sharing my thoughts with you and Cornell scientists. I sincerely want to help in any way I can. It is painfully obvious that the CDC, WHO, and Health Canada are ignoring glaring scientific facts. Red-whiskered Bulbul lives in Tropical Asia from Pakistan and India, to southwest Asia and China. It has been introduced in Australia (New South Wales), Los Angeles, Mauritius and Florida. The Red-whiskered Bulbul has established itself in Australia, Los Angeles, Hawaii, and Florida in the U.S. and in the Mauritius, Assumption Island and Mascarene Islands. It was eradicated from Assumption Island in 2013 – 2015 to prevent colonisation of nearby Aldabra, the largest introduced bird-free tropical island. It is now also found in suburban Melbourne and Adelaide, although it is unclear how they got there. Red-whiskered Bulbul lives in open areas with bushes and scrubs, and second grows. It lives in thickets, near cultivated areas and gardens, and in big towns. Again, this is confirmation that "forest-dwelling" birds is misleading. The feral red-whiskered bulbul poses a serious threat to Australia's native plants and wildlife. The bulbul is considered an environmental pest as it competes with local native birds for food and nesting sites. It also contributes to the spread of many invasive weeds, including blackberry, lantana, and privet. Not Only a Pest, But a ZIKV Reservoir Host? There were "recorded individuals of this species in Rio de Janeiro city in 2006". Serpa (2008) recorded individuals of this species in Rio de Janeiro city in 2006, with sightings of individuals in the wild since 1992 and 1994. These possibly originated as escapes from a pet shop. Serpa also identified a nest of the species in 2006, showing that it was reproducing outside captivity and suggesting that it may be establishing in the area (Mallet-Rodrigues et al., 2008). More confirmation that this bird is implicated in human disease: many bird species, from raptors to passerines like the red-whiskered bulbul (Pycnonotus jocosus), can carry malaria. Drs. Ayres and Hunter made it clear how Zika is more related to the viruses spread by the Culex genus of mosquitoes (like West Nile virus). Yet, early on, the press was presented with numerous free images of the Aedes mosquito (and studies) which created a huge societal bias. Every time I read about Zika, there's an image of an Aedes mosquito plunked in the post. Meanwhile, it is entirely plausible that the larger, hardier, Culex is causing 20 - 45 percent of the Zika cases we hear about. I believe Culex could be the mosquito responsible for the most devastating Zika infections, since Zika could be enhanced by Wolbachia in Culex (as it has been with both West Nile virus and malaria). And, Zika is found in bulbuls. Culex prefer to feed on birds. Birds can act as reservoir hosts that amplify diseases. "The most critical hosts in the WNV [West Nile virus] lifecycle, other than mosquitoes, are certain species of birds. Some species of birds are called amplifying hosts, meaning that when they get infected by a WNV-carrying mosquito, the virus is able to replicate to such high numbers in the blood that a new mosquito coming along for a snack will be able to pick up the virus as well." Birds can experience a range of symptoms, from species that show no symptoms to those (like crows) that die from it. Incredibly, birds can have up to a billion times more viral particles in their blood than similarly infected humans. Keep in mind: birds maintain these high blood virus levels for 1 - 5 days, during which time a single "super amplifier" bird can infect 100s of mosquitoes. Author's note: The downloaded report I've quoted states, "Contents of the report may be distributed further so long as the authorship of the AAM is acknowledged and this disclaimer is included. Written by Shannon E. Greene and Ann Reid of the American Academy of Microbiology." Below is an image that was included in this AAM report by Shannon E. Green and Ann Reid. Southeast Asia. Established locally in southern Miami, Florida. Migration: Apparently permanent resident throughout its native range, and introduced populations seem to do very little wandering. I can't help but shake the feeling there are far too many coincidences and too many public health authorities downplaying (or outright lying) about established scientific facts. Zika in Culex and in birds should be a top research priority right now. Without getting too wordy, I felt it was important to mention that there are about 40 species of bulbuls. And after I viewed the distribution of the Alophoixus genus, I wanted to stress that these birds should definitely be considered likely reservoir hosts of ZIKV. Up next is a map I found on Wikipedia of the "Alophoixus distribution map, only recognized species (without Thapsinillas affinis)". 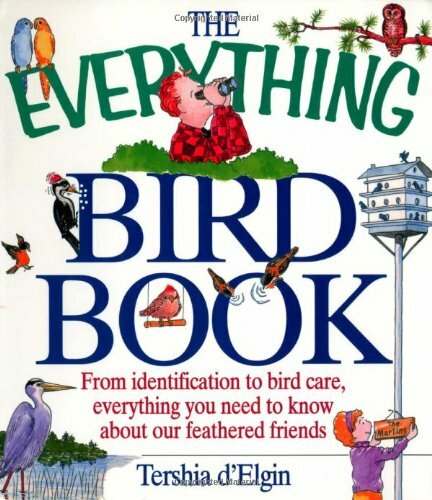 The Everything Bird Book; From identification to bird care, everything you need to know about our feathered friends. Tershia D'Elgin seamlessly combines bird history with facts in a can't-put-down book that is also illustrated beautifully by her. Let your local health department and area politicians know that Culex are proven vectors in some regions of the world. And it is imperative to be looking for the Zika virus in birds. Share this article. Ask questions. If you look at the support for the phylogenetic placement of ZIKV, there is 99 percent support for it within the clade includes West Nile and Saint Louis encephalitis viruses. That fact alone is reason enough to be looking for the Zika virus in birds, if you ask me. I created a collection on Zazzle with 100 products (so far) that educate and promote the prevention of the spread of Zika. Every item purchased will help fund Zika research. You can even customize most of the products. I also have a devoted Facebook page called Zika: Let's Stop a Global Pandemic where you can keep up-to-date on the latest findings from the scientific community (not mainstream media). Author's note: All of my citations have a clickable link to their source. The list is found in the bibliography at the end of this page. Rose is a participant in the Amazon Services LLC Associates Program, an affiliate advertising program designed to provide a means for sites to earn advertising fees by advertising and linking to Amazon.com.